Designed by Nathan VanHook, the same Nike designer that was responsible for the Nike Air Yeezy 2. This Nike has style to it and is quite versatile, especially for summer. 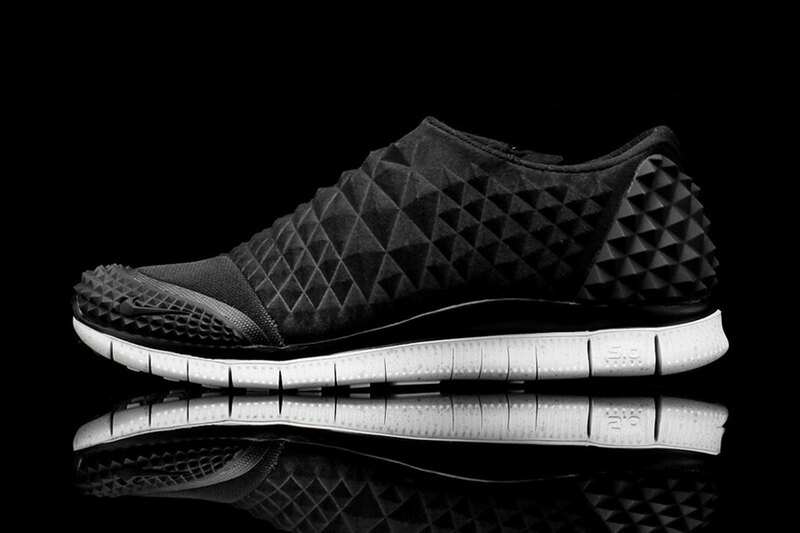 Nike black tech-fabric Free Orbit II SP low-top sneakers styled throughout with raised geometric pyramid stud pattern. A mesh panel cutout provides ventilation to the toes and forefoot, while all of the features rest atop a Free 5.0 outsole. These are already hard to find at the higher than normal Nike price point.